The portion of the NYC budget going into the pockets of charter school operators is growing fast, according to the Independent Budget Office, and will top $1 billion next school year. See graph below. 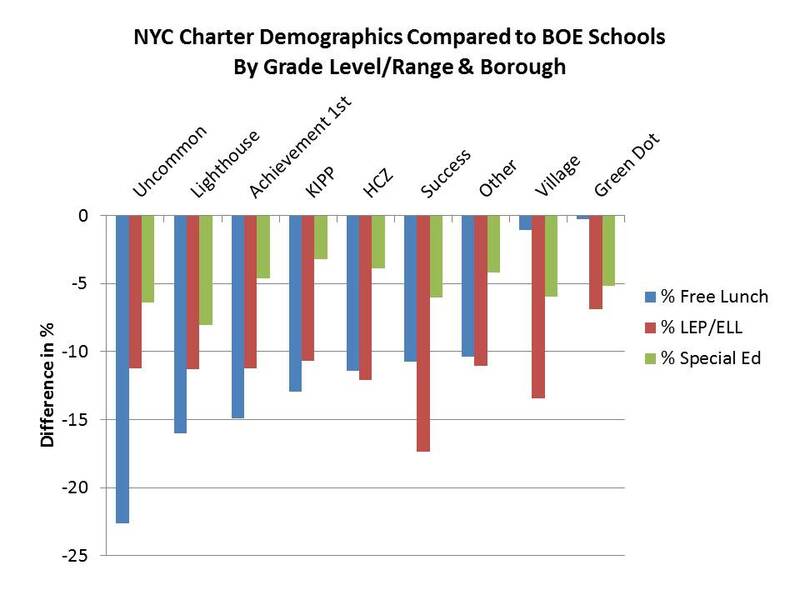 In addition, there are many hidden funding sources not reflected in this graph, reflecting significant inequities between the way charters and district public schools are funded in NYC. First of all, for the two thirds of the charters that are given space and services free in public school buildings - which we believe is illegal -- amount to many millions of dollars in additional subsidies per year, and result in these students receiving more than the average per student funding that districts public schools receive, according to the an analysis from the Independent Budget Office. Charter school students are also twice as likely to get free busing paid for by the city -- another expense not reflected in the above graph. Some 20% of charter students ride school buses, compared to just 9% of regular public school kids. In addition, charter start-ups receive special subsidies amounting to more than $2 million per year from the city's Department of Youth and Community Development (DYCD); and are not being required to adhere to the same costly mandates, such as the new teacher evaluation system imposed by the state. Many NYC charters also raise millions of dollars privately from their supporters in the hedge-fund industry, Wall street executives, and other assorted billionaires. Eva Moskowitz' Success Academy charters recently raised $7 million in one night; despite the fact that her schools had surpluses of over $28 million. NYC charters also receive myriad other special favors from an administration that is widely recognized as biased towards these privately-managed schools. while charters cannot legally be provided with these funds, according to state law. Yet even in this case, some charter schools have gotten around this provision in the law. Note the example of the PAVE charter school, run by Spencer Robertson, the son of billionaire Julian Robertson, a close associate of Mayor Bloomberg's. In order to evade this prohibition, Robertson the son set up a dummy corporation for a pre-school for PAVE called the "Henry Cooper Westendarp" school, named after PAVE's director of finance. This pre-school is being funded through a separate contract with the DOE to the tune of nearly half a million dollars, and it will help ensure a steady stream of students for Spencer's charter school. Along with Chancellor Walcott, Spencer is also on the board of the NYC Charter Center, which is headed by Phoebe Boyer, who runs both of Julian's foundations, the Tiger and Robertson Foundations, which help finance the Charter Center and other pet projects of the Mayor. Yet Julian, whose net worth is $2.8 billion according to Forbes, refuses to pay city taxes, and has his secretary calculate exactly how many days he must travel out of the city and schedules him accordingly, to avoid doing so. See below commentary by parent Jim Devor, outgoing president of Community Education Council in District 15 on the need for an investigation into how the city is providing funds to pay for PAVE's preschool. 1) As is widely known, there is a desperate need for pre-K space THROUGHOUT District 15 (especially in Sunset Park and the South Slope/Greenwood Heights) EXCEPT for Red Hook. In fact, according to the "Blue Book", local Red Hook elementary schools are "underutilized" with at least 750 "unused" and available seats. 2) To increase pre-K capacity, the DoE funds a number of full and part time Universal Pre-K ("UPK") programs (usually - but not always - operated by community based organizations) throughout the City (including D15). 3) The ONLY full time D15 UPK funded by the DoE (as approved by the Panel for Educational Policy this Spring) is "pre-PAVE" which will receive slightly less than a half million dollars for 54 four year olds in full time pre-K. Coincidentally, I'm sure, this is the highest per pupil allocation of any such UPK in the entire City as approved by the PEP. 4) Notwithstanding the DoE claims that PAVE and pre-PAVE are separate entities, pre-PAVE is going to be run by Cooper Westendarp - PAVE's Chief Financial Officer (who earns over 90K per year in that capacity). 5) Furthermore, the PAVE Charter School has sought (and apparently received) approval to conduct its Kindergarten lottery seventeen months in advance. 6) As per Sonia Park, the Director of the DoE's Charter School Accountability & Support Division, those lucky winners will be "invited" (but not "required") to attend pre-PAVE this Fall. Thus, at the very least, those lottery winners will have priority over all other applicants to pre-PAVE. And if all lottery winners accept the "invitation", no other children will have access to that pre-K program. 7) In any event, according to the PAVE website, ALL pre-PAVE graduates will automatically be granted admission to PAVE. Nevertheless, at the PEP, the Chancellor incredibly denied that applying to PAVE was a pre-condition for acceptance to pre-PAVE. 8) The bottom line is that by creating a pre-K along with a seventeen month "advance" lottery, PAVE has effectively established a Charter School that starts in Pre-K. That is a direct violation of the Charter School Act which prohibits pre-K grades in Charter Schools. 9) Before the PAVE pre-K proposal was even calendared for approval by the Panel for Educational Panel, the DoE Executive Director of the Office of Early Childhood Education, Sophia Pappas, directly intervened on behalf of "PAVE pre-K" with NYC Housing Authority to personally lobby it to locate the proposed program on NYCHA property needed by Red Hood Senior Citizens. 10) While that maneuver was eventually foiled, one has to question why a high-level Educrat would be allowed to misuse her position to advance the pecuniary interests of a private party to the clearly unnecessary detriment of local NYCHA senior citizens. 11) Meanwhile, as thousands of children are being deprived access to pre-K throughout the City (30% of all applicants), the ONLY D15 public school with ANY pre-K slots available is PS 676 (Red Neighborhood School) literally located about three blocks away from PAVE. 12) This peculiar misallocation of NYC DoE resources can perhaps be explained, at least in part, by the ENORMOUS influence of the Robertson family. For example, the Chancellor serves on the Board of the NYC Charter Schools Center along with PAVE founder and Director Spencer Robertson. 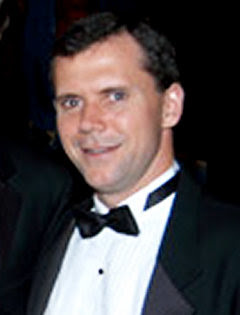 13) In addition, the Chair of said Board is Phoebe Boyer, the "Executive Director of the Tiger Foundation and Interim Executive Director of the Robertson Foundation" - both of which happen to be predominantly funded by Julian Robertson (one of the wealthiest men in the world who, of course, is Spencer's dad). Have we connected the dots yet? One dot that was not connected- make it lucky 14? is that by holding its K lottery a year and half in advance PAVE is pretty much screening families by motivations, access to information and organizational ability. A large number of students in many communities apply much closer to admissions dates, so this takes the charter screening and ups the ante by quite a bit.